The Tamiya TS27 Matt White is a synthetic lacquer which can be used to paint plastic model kits. .. 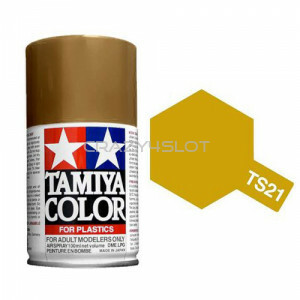 The Tamiya TS28 Olive Drab is a synthetic lacquer which can be used to paint plastic model kits. .. The Tamiya TS29 Semi Gloss Black is a synthetic lacquer which can be used to paint plastic model .. The Tamiya TS3 Dark Yellow is a synthetic lacquer which can be used to paint plastic model kits. .. The Tamiya TS31 Bright Orange is a synthetic lacquer which can be used to paint plastic model kits.. The Tamiya TS32 Haze Gray is a synthetic lacquer which can be used to paint plastic model kits. .. The Tamiya TS33 Hull Red is a synthetic lacquer which can be used to paint plastic model kits. E.. The Tamiya TS34 Camel Yellow is a synthetic lacquer which can be used to paint plastic model kits.. The Tamiya TS35 Park Green is a synthetic lacquer which can be used to paint plastic model kits. .. The Tamiya TS36 Fluorescent Red is a synthetic lacquer which can be used to paint plastic model k.. The Tamiya TS37 Lavender is a synthetic lacquer which can be used to paint plastic model kits. E.. The Tamiya TS38 Gun Metal is a synthetic lacquer which can be used to paint plastic model kits. .. The Tamiya TS39 Mica Red is a synthetic lacquer which can be used to paint plastic model kits. E..